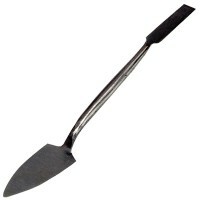 Silverline 456906 Plastering Touching-in Tool Trowel and Square Features Trowel & Squ..
RST RTE88C Trowel and Square Small Tool Features Length 10.5in / 262mm. 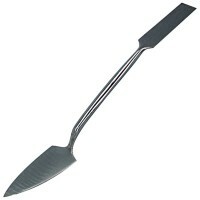 Width 3/4in..
RST RTE88B Trowel and Square Small Tool Features Length 10.5in / 262mm. Width 5/8in..
RST RTE88A Trowel and Square Small Tool Features Length 10.5in / 262mm. 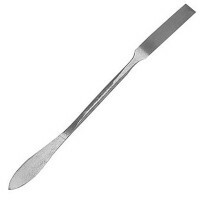 Width 1/2in..
RST RTE88E Leaf and Square Small Tool Features Width 5/8in / 16mm. Plasterers..
RST RTE88D Leaf and Square Small Tool Features Width 1/2in / 12mm. 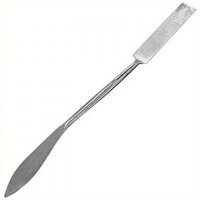 Plasterers..
RST RTE88F Leaf and Square Small Tool Features Width 3/4in / 19mm. Plasterers leaf ..